Rana Tonjong Lake which is the second biggest lotus lake(Victoria Amazonica) in the world after similar lake in India. 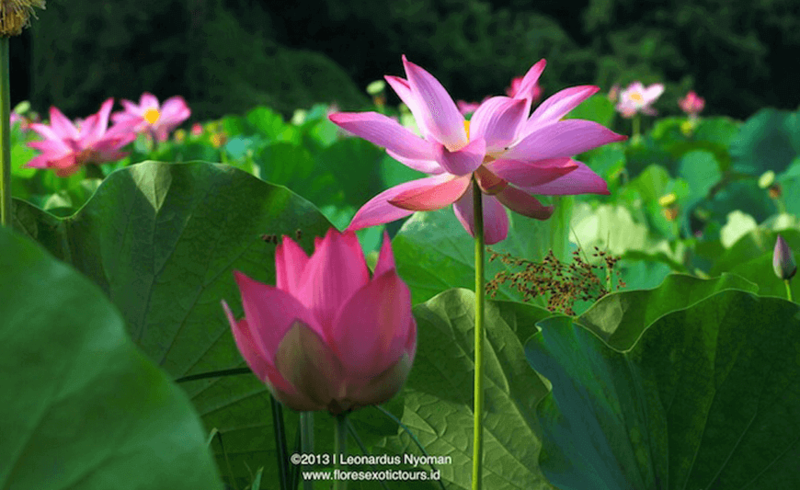 In Manggarai language, ‘Rana’ means lake and ‘Tonjong’ means lotus. Lotus flower has pink color which blooms beautifully. This plant only grows on the water and has around 5 until 10-centimeter round-shape leaf. The uniqueness of this lotus plant is in its stem which rises out of the water not floats like other lotus plants. It is around 3 meters high. Even, lotus flower can bloom depending on the water which enters into the lake. Located in Nanga Mbaling village, Pota, Sambi Rampas sub-district, East Manggarai regency, Flores island.